Weekly Medicines Organizer with water with water bottle. Removable pill organizer pops in and out of side of the water bottle when needed. 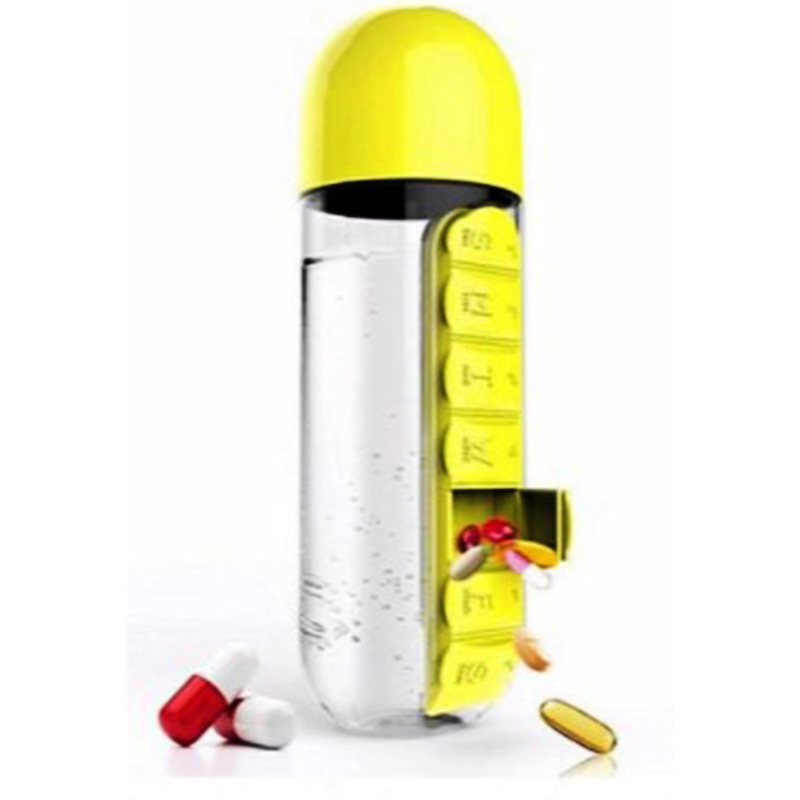 The new, sleek "in style" pill organizer and water bottle is a great change from your ordinary daily medicine/pill box. 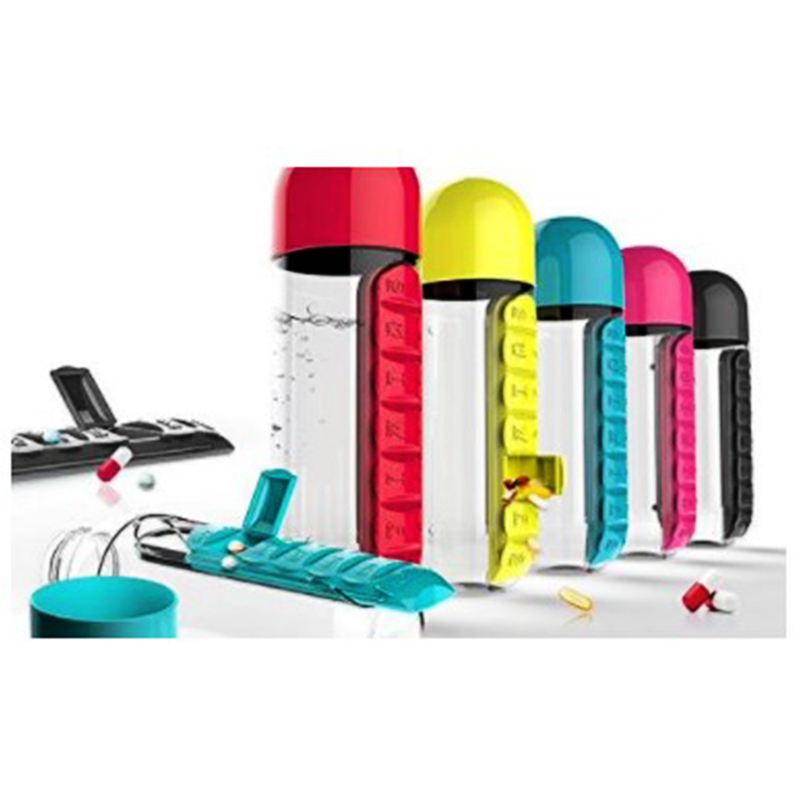 The Pill Organizer Water Bottle holds 600ml of your favorite drink, plus features a built-in pill organizer with separate compartments for each day of the week. 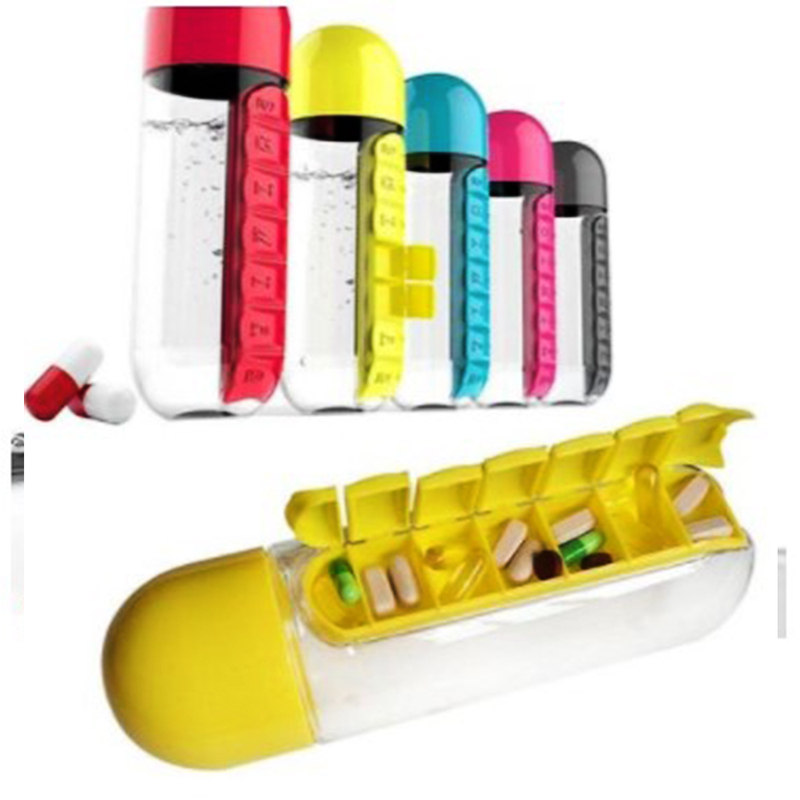 Modern and Stylish pill vitamin organizer keeps your medicines organize and contain your favorite drink and water up to 600ml.You can combine your daily vitamin tablets with your water bottle. 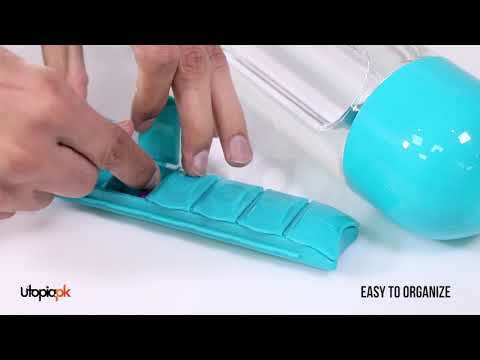 By Tablets holder slide can organize your pills weekly and it easily outside the bottle when not attached at the bottle.